Our engineers work in collaboration with our distributors to provide best-in-class solutions for every project. They ensure the compliance with the deadlines while providing a good and professional customer service. We get involved in the customer´s project from the design phase of the building to provide effective access solutions perfectly integrated with the architecture. 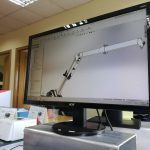 Elaboration of technical documents: declaration of conformity of our machinery, risk analysis, manuals of procedures and maintenance of the different BMUs. Calculations: kinematic, dynamic, stability, study of the resistance of materials and pneumatic and hydraulic studies. Drawings: 2D and 3D designs. After the engineering phase, the staff of our factory begins the construction of the BMU. 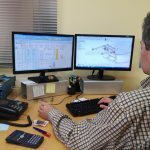 The fact that our operators work hand in hand with our engineers allows us to reduce the number of incidents during this process to zero, while ensuring that the deadlines agreed with the client are met. To be manufacturers makes us different and allows us to guarantee each and every one of the materials and components used in our machines. 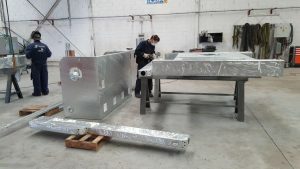 We train our partners for the installation and start-up of our equipment giving detailed instructions on the technical requirements that the different elements must meet. In projects with big technical complexity, our personnel supervise the installation to advise and ensure compliance with the highest quality and safety standards. 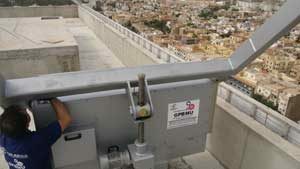 Preventive maintenance operations: These operations are carried out to ensure the proper performance and safety of the BMU. 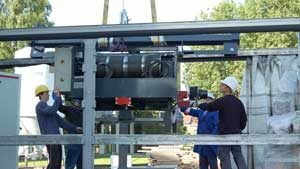 The inspections are made by on a periodic basis to guarantee that the machine operates throughout its life like the first day of installation. Corrective maintenance operations: They are made when some deficiencies are detected in the equipment due to the wear of certain parts or small damages caused by the periodical use. 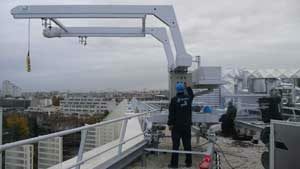 Whatever your need for the maintenance of your BMU, do not hesitate to consult our experts, we can help you. Lack of maintenance resulting in serious damage or excessive degradation of some components. 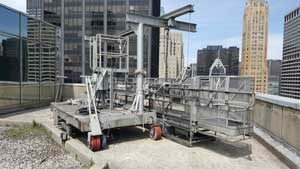 New facade maintenance needs not covered by the old BMU. Great difference of performance with respect to newer models. 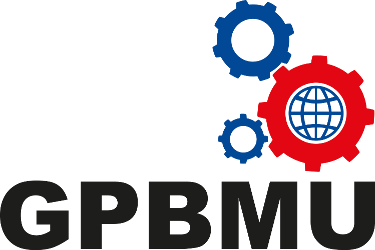 In GPBMU we are experts in the technical evaluation of building maintenance units and advise daily to both national and international clients in the replacement or adaptation of façade access equipment.